Lock in a great price for Meliá Salinas - Adults Recommended – rated 8.2 by recent guests! 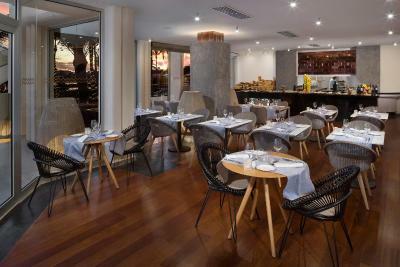 Design of the hotel is beautiful, and the location right on the beach front, and in slightly quieter end of town. I loved the huge bed, the room and the black cat who met me in front of the hotel every morning. The massage I booked was excellent. The breakfast and dinner buffets were about the BEST I've ever had. The facilities were great. Very clean and ideal for adults. 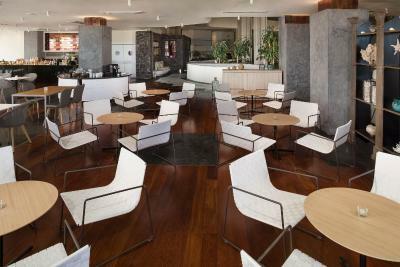 Incredible hotel in a good location, even got a bit of Lanzarote art history in design. The gardens in center of the hotel were amazing ! Great views and lovely gardens and pool areas. The room was recently renovated to a high standard and was well equipped- some USB ports would have been useful. The level reception, attention and facilities does make you feel special. The room was amazing, the balcony was amazing, Food was amazing, Hotel amazing. 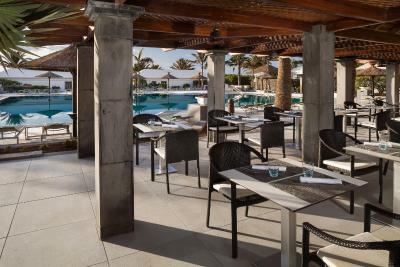 Meliá Salinas - Adults Recommended This rating is a reflection of how the property compares to the industry standard when it comes to price, facilities and services available. It's based on a self-evaluation by the property. Use this rating to help choose your stay! 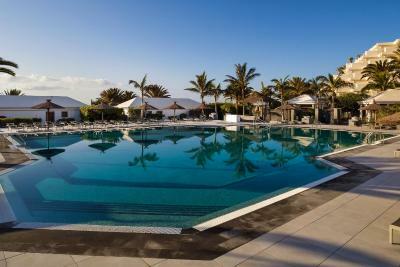 One of our top picks in Costa Teguise.This adults-recommended hotel is surrounded by 2 white sandy beaches, and it is ideal for enjoying all that Lanzarote has to offer – year-round sunshine, tropical gardens and great local art. 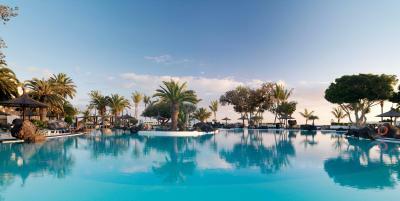 Dove into the Melià Salinas’ lagoon swimming pools to cool off from the warm sunshine. 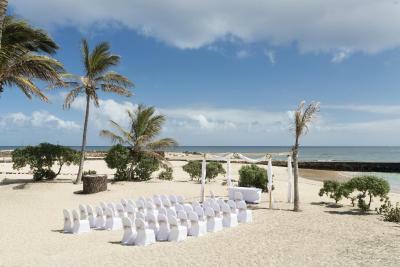 You can also enjoy the fantastic climate in the lush gardens, full of local color. This vibrancy is reflected in the interior – inspired by famous local artist, Cesar Manrique. Dine inside or out at your choice of 4 on-site restaurants. You can even watch you meal being prepared as part of the live culinary show, which accompanies the evening’s entertainment. 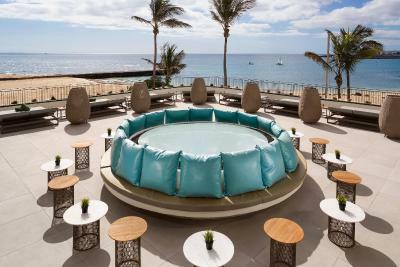 There is an evening bar and lounge, a pool bar and a beach bar. Other hotel facilities include a 3 floodlit tennis courts, beauty center, and a wellness area with sauna and whirlpool.The hotel offers direct access to the beach. The property also offers The Level services in some rooms, including a private check-in area, Nespresso machine, pillow menu, and concierge services. 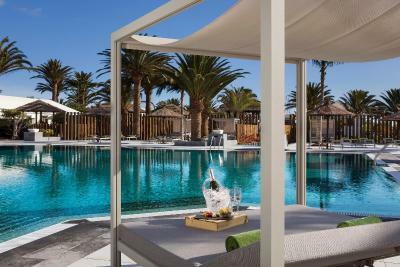 When would you like to stay at Meliá Salinas - Adults Recommended? 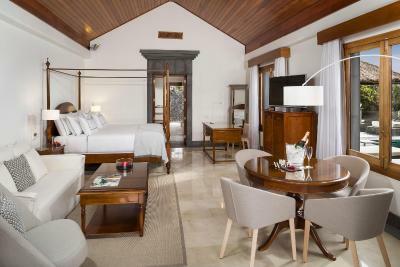 This bright room comes with a 12 m2 furnished terrace, offering views of the resort´s swimming pools and botanical gardens. It offers free WiFi, individual air conditioning according to the season, a kettle, safe and mini-bar. The private bathroom comes with free toiletries, hairdryer and a rainshower. This bright and spacious suite has a large furnished terrace, comfortable sitting area and free WiFi. It includes a Nespresso machine, iPod dock, pillow menu and individual air conditioning according to the season. There is a kettle, safe and mini-bar. The bathroom comes with a bath, walk-in showr, bathrobes, slippers, free toiletries and a hairdryer. This bright and luxurious suite has 2 furnished terraces of 10 m2 with panoramic ocean views. There is a living room and a bedroom with a king size bed and walk-in wardrobe. The private bathroom has a rain shower, bathrobes, slippers, free toiletries and hairdryer. The suite has free WiFi, a Nespresso machine, iPod dock, CD player, pillow menu and individual air conditioning according to the season. There is a kettle, microwave, fridge, mini-bar and safe. 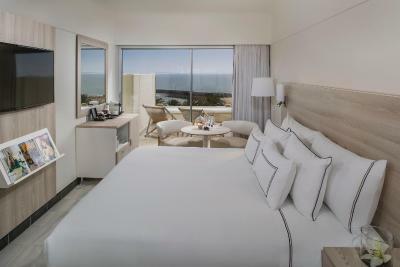 This luxurious room comes with a 12 m2 furnished terrace offering ocean views and air conditioning according to the season. It has free WiFi and a 42-inch flat-screen TV. There is a kettle, safe and mini-bar. The private bathroom comes with free toiletries, hairdryer and a rainshower. 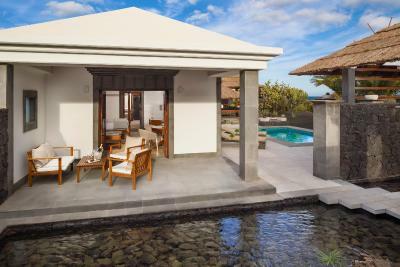 This luxurious villa features a private pool and garden, with an outside dining area, Balinese bed and cascade shower. The villa has an open plan design with a spacious sleeping and living area, walk-in wardrobe and luxurious bathroom with whirlpool, bathrobes, slippers and luxury amenities. It also includes WiFi, a Nespresso machine, fridge, iPod dock, CD player and pillow menu. There is individual air conditioning and a safe. 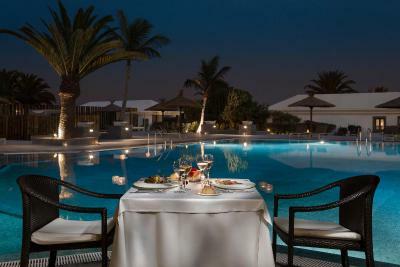 This bright and luxurious suite has a 2 furnished terraces of 10m2 with panoramic ocean views. There is a living room and a bedroom with a king size bed and walk-in wardrobe. The private bathroom has a rain shower, bathrobes, slippers, free toiletries and hairdryer. The suite has free WiFi, a Nespresso machine, iPod dock, CD player, pillow menu and individual air conditioning according to the season. There is a kettle, microwave, fridge, mini-bar and safe. This bright and spacious suite has a large furnished terrace, comfortable sitting area and free WiFi. It includes a Nespresso machine, iPod dock, pillow menu and individual air conditioning according to the season. There is a kettle, safe and mini-bar. The bathroom comes with a bath, walk-in shower, bathrobes, slippers, free toiletries and a hairdryer. 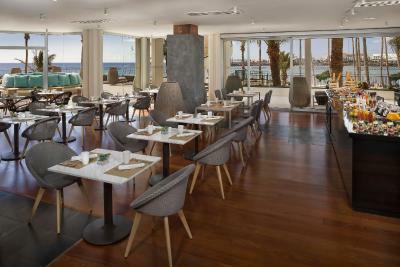 This bright room comes with a 12m2 furnished terrace, offering views of the resort´s swimming pools and botanical gardens. It offers free WiFi, individual air conditioning according to the season, a kettle, safe and mini-bar. The private bathroom comes with a rain shower, free toiletries and a hairdryer. 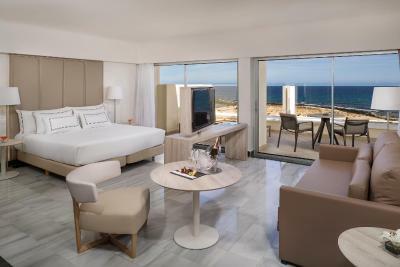 This luxurious room comes with a 12 m2 furnished terrace offering ocean views and air conditioning according to the season. It has free WiFi and a 42-inch flat-screen TV. There is a kettle, safe and mini-bar. The private bathroom comes with a rain shower, free toiletries and a hairdryer. This bright and spacious suite has a large furnished terrace, comfortable sitting area and free WiFi. It includes a Nespresso machine, iPod dock, pillow menu and individual air conditioning according to the season. There is a kettle, safe and mini-bar. The bathroom comes with bathrobe, slippers, free toiletries and a hairdryer. This bright and luxurious suite has 2 furnished terraces of 10m2 with panoramic ocean views. There is a living room and a bedroom with a king size bed and walk-in wardrobe. 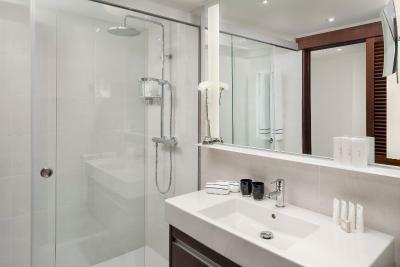 The private bathroom features a rain shower, bathrobe, slippers, free toiletries and hairdryer. The suite has free WiFi, a Nespresso machine, iPod dock, CD player, pillow menu and individual air conditioning according to the season. There is a kettle, microwave, fridge, mini-bar and safe. 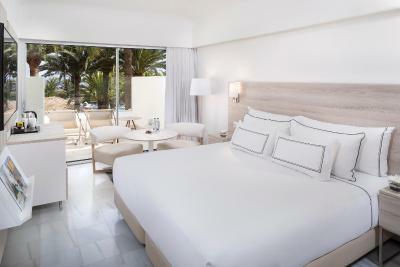 This luxurious room comes with a 12 m2 furnished terrace offering ocean views. It has free WiFi and a 42-inch flat-screen TV. It includes a Nespresso machine, iPod dock, pillow menu and individual air conditioning according to the season. There is a kettle, safe and mini-bar. The private bathroom comes with a walk-in shower, bathrobes, free toiletries and a hairdryer. House Rules Meliá Salinas - Adults Recommended takes special requests – add in the next step! Meliá Salinas - Adults Recommended accepts these cards and reserves the right to temporarily hold an amount prior to arrival. The hotel is a lovely 5 star hotel, but it’s starting to look tired and requires a lot of re painting, the area is not good for fine dinning only cheap or low quality restaurants. You have to take a trip to the next village to find a good eatery. Old hotel in need of total refurbishment. Not a very pleasant architecture, no signs in the inner yard (at first you don’t understand where are the rooms, the restaurant, etc, but they give a map), breakfast is not delicious, consists of mainly cheap products, the pool is dirty. I'm not into nit picking of minor things ! Food was good but not great, alcoholic drinks (e.g. cava, gin) at the level were okay but also not great. The building could do with some maintenance; cracks and peeling paint were obvious in most places. It sounds pedantic but these things were not as good as expected given everything else was great. Top breakfast. Tranquil atmosphere and super-helpful staff. The building was a little tired and could do with some decorating and work to the cracked concrete. very clean and the staff were friendly. I’d like to note few details that could be improved, but only because I’m a nerd ;) this details wasn’t valuable much, but I wanna be totally honest with your upcoming guests and show a negative sides as well as a positive. Swimming pool was not heated. In November that made sense. Cats in a terrace felt itself very comfortable and stuff even don’t trying to drive them away. It disturbs and calls into a question the hygiene of that zone. The automatically door closer in a room is a bit too loudly. I’d like to thank all the team of “Melia Salinas”! I came there unexpectedly, to recover after long tour and that was amazing! 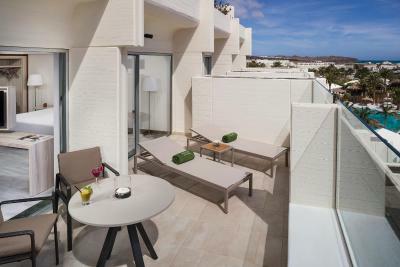 Big bright rooms with huge comfortable bed, super nice view, very good level of spa-treatments, absolutely acceptable prices, helpful and very positive stuff and the main value is the interiors that was created by genius Cesar Manrique. I was enjoying every detail each minute of my staying there. And great thanx to Manuel, who was super professional and gentle by helping with any needs and question. Your cuisine is amazing! Very healthy and wide choice, super testy food, high quality of all ingredients, nice atmosphere, special thanx for live music during the dinners. But I can say that for today that was the best 5* hotel that I visited. Thank you again and will see you soon for sure! The Hotel was brilliant! Lanzarote airport needs more seating and to expand the toilet facilities. Loved it. Wanted to stay longer. We'll be back! Taxi from airport very reasonable. 22 euros. size and lightness of room. really good balcony. This hotel is not a 5 star or anything like it. Reception and the room were the best parts. The sunbeds are awful, no cushions, all broken and dirty. The air con doesn't work, they advertise air con but even after having the engineer up still didnt work. I liked the proximity of the beach.